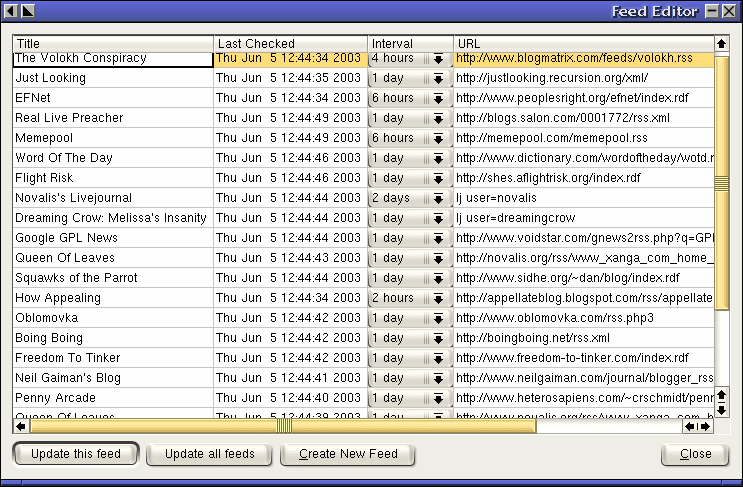 RSS Mix Tape reads items from RSS feeds that you specify, and displays them in a list. You go through the list, picking your favorite posts and putting them into categories. You can also write comments on posts. Then you click the "Generate RSS" button, and RSS Mix Feed spits out an RSS feed for each category. 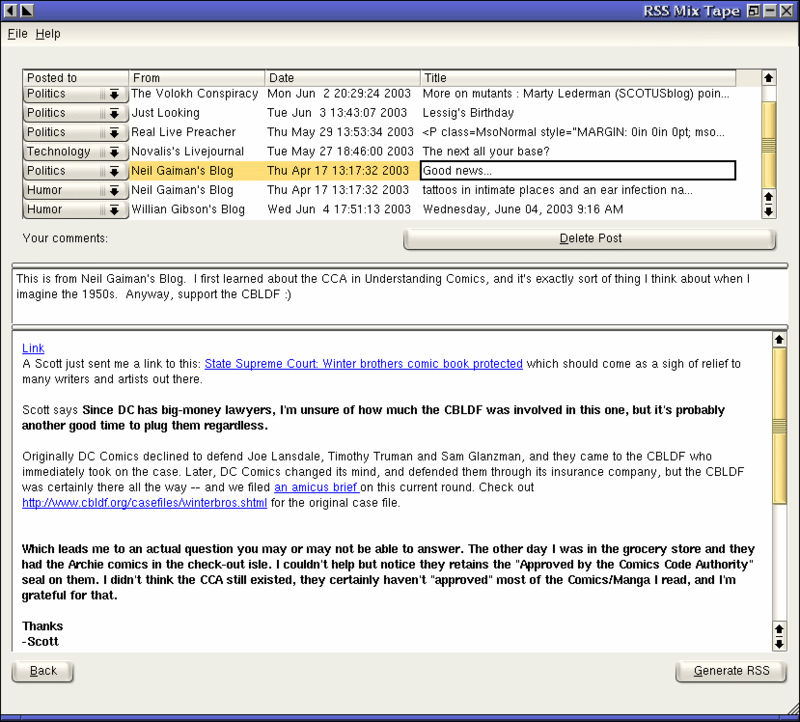 Your friends can use their favorite RSS reader to view your feeds (livejournal is an RSS reader, if you're a paid user). In short, RSS In, RSS Out.